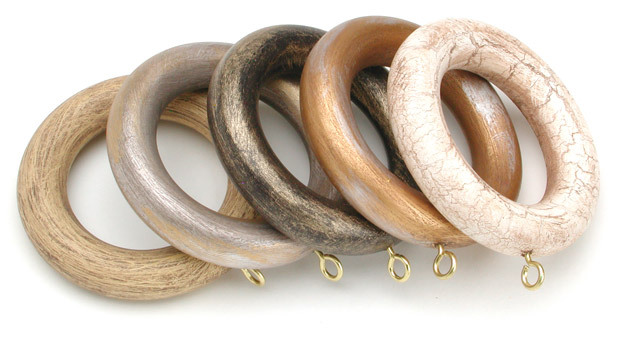 Drapery Curtain Rods sells a large assortment of beautiful curtain rod rings. We carry rings, clips and hooks for all types of curtain rods and window treatment applications. 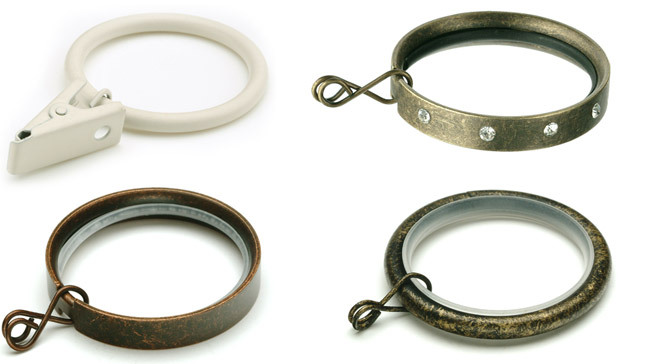 All our curtain rod ring collections are available in a variety of popular colours. Click on each curtain ring below to view the full collection. Although curtain rod rings seem insignificant, they add an important detail to the overall appearance of your window treatments. Choose rings that match your curtain colour and style and you will notice a big difference in the overall appearance of your window coverings. Below you will find some of the more popular questions we get asked regarding curtain rings and our answers to those questions. If you have any other questions please do not hesitate to contact us. 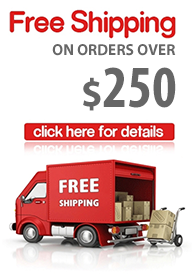 Do you sell curtain rings individually or in packages? Most of our curtain rings are sold in packages of 7 or 10. However, please do check the product specifications which are indicated on each product page. Look for the "Quantity per Package" attribute which indicates how many curtain rings you get per package. Then, when you are ready to purchase, in the product quantity field, simply input how many packages of curtain rings you need and continue shopping or proceed to checkout. I want my curtains to pass freely between my support brackets, how can I do this? What you need is passing curtain rings and passing curtain brackets. We carry both of these products and they will solve your problem of non-functional drapes due to movement limitation by regular brackets and curtain rings. Passing rings are designed to pass back and forth between passing brackets, allowing your draperies to move freely, just the way you want. In most situations, passing curtain rings and passing brackets are used when you have a long curtain rod with more than one support bracket and you desire functional curtains that you can close and open freely. 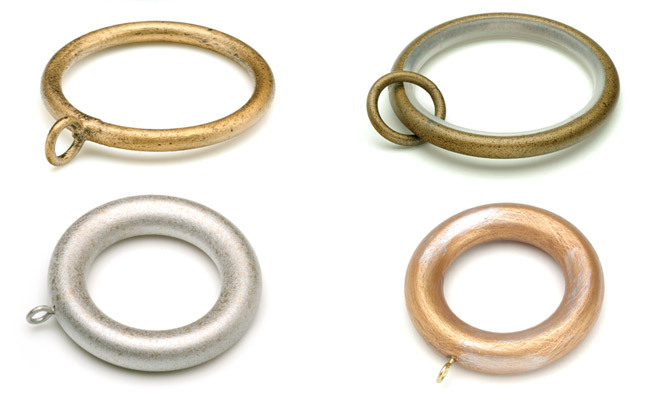 You can read more and check out our passing curtain rings here. The best way to find out exactly how many curtain rings you will need for your curtains is to ask your interior designer or the designer fabric store where you will get your curtain fabric from. if you are pre-planning and want to know approximately how many curtain rings you will need we have a general rule for calculating how many curtain rings you will need. The rule of thumb is that you will need 7 rings for every 21 inches of width that you desire to cover with curtains. So if the window or the area that you want to cover with curtains is 120 inches wide, you will need to simply divide 120 by 21 which equals to 5.71. next multiply 5.71 by 7 rings and you get 40 rings. This means that you will need 40 rings to cover an area that is 120 inches or 10 feet wide.